To coincide with a new pop-up store, cosmetic and beauty brand Clinique will be launching an art installation this week in London's Covent Garden powered by social media. 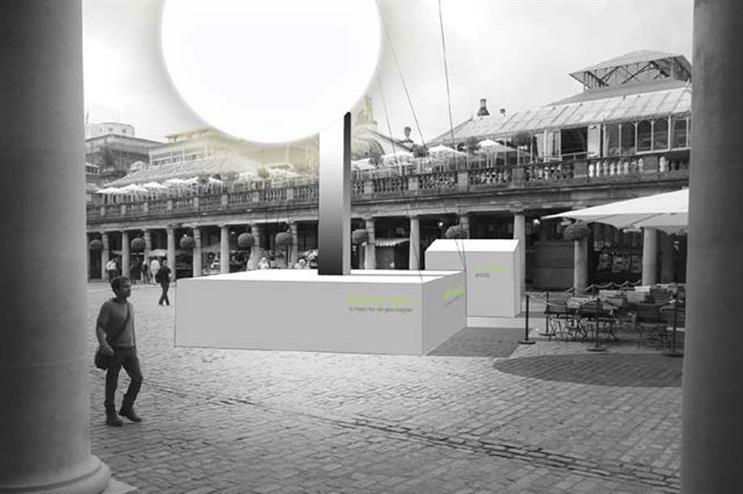 The Orb, which stands eight metres above the ground, is a four metre-round glowing sphere, which the brand has said will aim to brighten up the centre of London as a physical representation of the healthy glow Clinique's products are renowned for creating. The activation has been conceptualised by agency Portas and will run from Friday 31 October until Saturday 1 November. The installation will glow brighter as the number of social media posts featuring the hashtag #CliniqueGlow increases. Every hour The Orb is glowing, participants will also have the chance to win a Clinique Sonic System Purifying Cleansing Brush. Janet Saunders, vice president general manager for Clinique, UK and Eire, said: "This is an extremely exciting time for Clinique, which sees us entering a new wave of digital innovation and customer experience. The Orb is Clinique UK’s first social media-activated concept, and we look forward to interacting with consumers in such a standout visual way." Caireen Wackett, managing director at Portas, added: "Clinique is a brand known for its innovation and the launch of its latest Sonic Purifying Cleansing Brush is no exception. Therefore, we needed a creative idea which would live up to this. "The Orb was created not only to as a visual spectacle and to communicate the benefits of using the brush but also as a means for Clinique to interact with consumers in an entirely unique and engaging way." The installation coincides with the recent launch of Clinique’s first UK pop-up store in Covent Garden, called the Great Skin Lab, which opened last Friday (24 October).